Laptop sound quality is basic at best, so these well-made headphones are a great way to get more from your music, movies and games, at home or on the move. 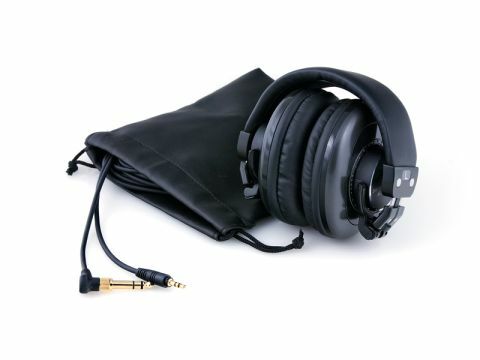 The padded ear-cups fit comfortably, and the headset is collapsible for easy transportation. Removable 3.5mm and 6.3mm connector cables are included, so you can use with your laptop, MP3 player or home amplifier, and replace if damaged. When listening to music, bass frequencies are well defined and punchy, but higher frequencies lack definition, making these headphones great for gaming, action movies and urban music, but not for true audiophile performance.